A small, simple mod designed for “Diplomacy” expansion. 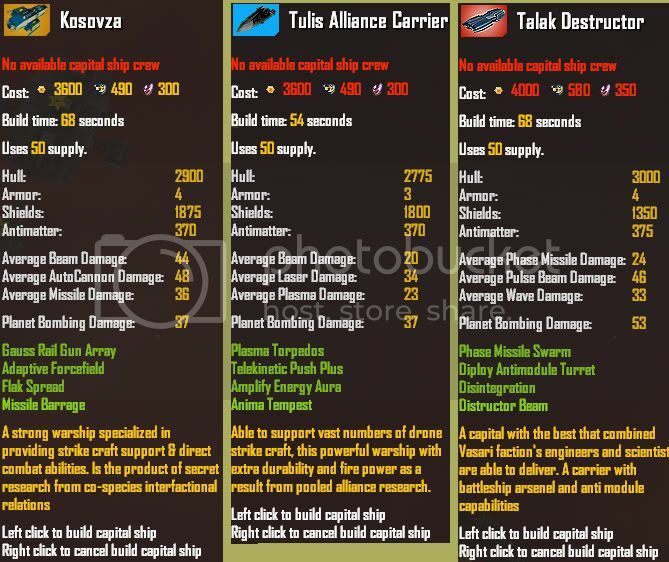 The mod adds 3 new capital ships to the game that are accessed through diplomatic research, 1 for each race. Each ship has 2 new abilities. The aim of the mod is to just add to Sins a little without taking away the Sins aspects that make it a great game. This mod doesn't work with "Distant Stars", "Stars" - unfortunately. I don't know yet. All I know is that it definitely works on my computer, which is about 4 years old. I have only been modding for about a year and this is the first mod I have ever released. 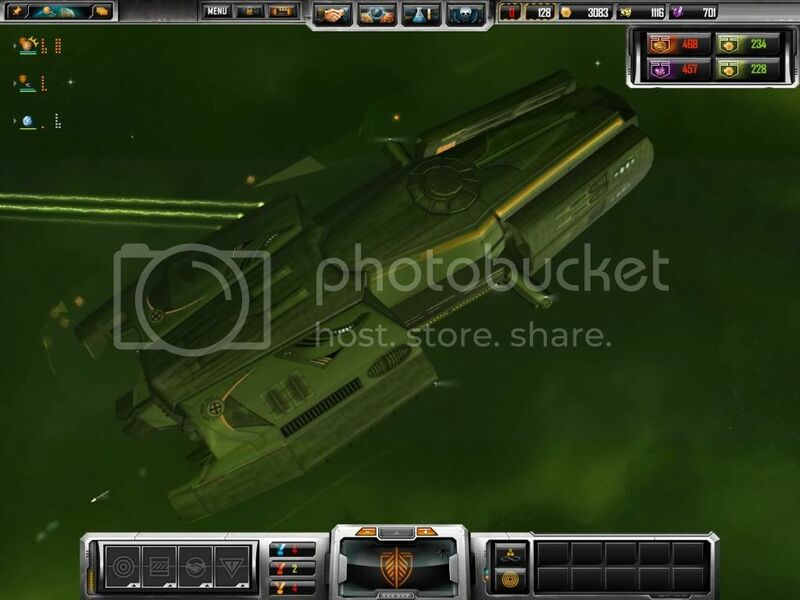 - Fixed starbase constructors, anti module frigates & Vasari Mine layer MainViewIcons. - Fixed typo on Deploy Antimodule turret. - Telekinetic Push Plus re-named and buffed to show push effect on frigates better. Also fixed Auto cast so it only fires in battle, range reduced Level:1 from 5200 to 4600, Level:2 from 6200 to 5000. - Plasma Torpedos now has auto cast on default. - Re-done textures on Kosovza beams. If anybody would still like the green one's their texture's are still their, you will just need to change them back in the Kosovza's entity file. - Re-done textures on Talak Distructor to better match Vasari. - Re-done texture on Kosovza build button to better match others. To install, just extract striaght into "Alliance, Hidden Agenda's" mod folder. 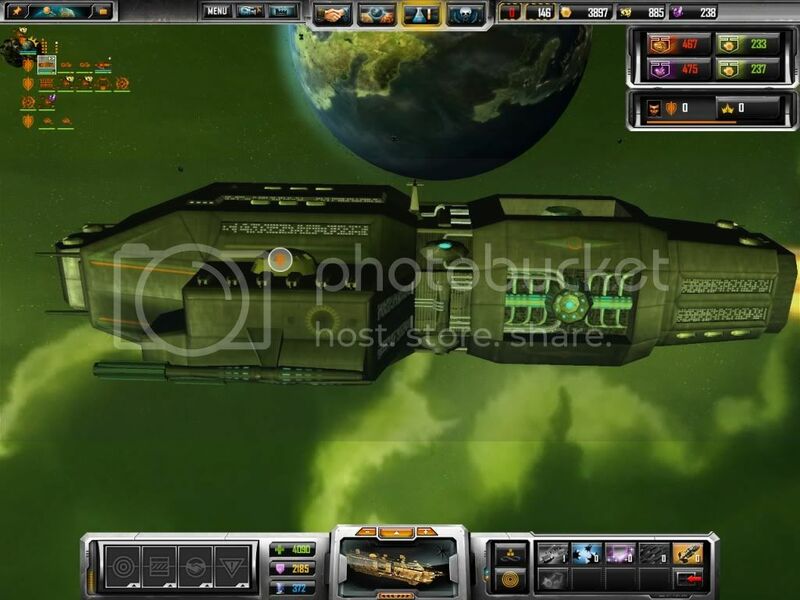 -Button textures re-done.Tech SB's weapon upgrade button no longer shows pictures of frigates when pressed. "PUREVENOM" for helping with texture's and abilities & all the dozens of other experienced modder's that have helped out with problems I've had. It would not have been possible without your help. And a big thank you to the Distant Stars team for permission to combine A,HA's with Distant Stars. Newer version with player buttons fixed, Distant Stars fighters now appear in Alliance Hidden Agenda's ships & Abilities values changed to better go with Distant Stars. A TK push that works on frigates? If it knocks frigates as far as it does fighters, I can think of many ways to abuse that. Well actually no, it doesn't knock them as far as fighters, but it does knock them. It also additionally disables their passive regeneration. Also minidumps with the Diplomacy "Stars" 1.011 Diplomacy. But works fine with a fleet supply mod that I've created. I'll test this out with a few other mods that i have. See what works and what doesn't, but otherwise this seems like a very awesome (and welcome project). Good job! Thanks for checking that out for us. I'll add it to the known issues. It is a pity that it doesn't work with those mods. As yet I don't know why. My guess is that there is a clash with the research trees. I am currently looking into the possibility of getting permission & integrating Sins Plus into the mod, and also eventually another 3 capitals for the other alliance combination's. 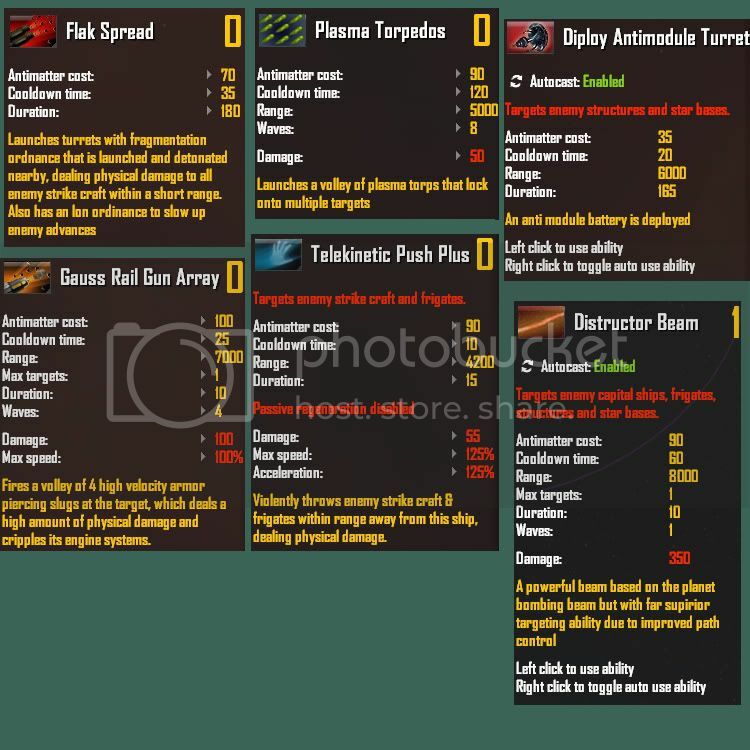 Please excuse my ignorance, is there a release of you fleet supply mod? Not mine specifically. However, i used http://forums.sinsofasolarempire.com/373458 and tweaked it a little to serve my needs . Yeah! I remember that. It was the one the doctor transported to and could break into 3 parts. I didn't really model it off of that,(perhaps I did sub consciously , I don't know) I just made the design up. The aim was to try and make it look like an Advent ship mostly. Thanks for the heads up Ryat I'll see what I can find out. May have permission to convert "Distant Stars" to txt. to make comparisons. The other thing is that the price and resource costs and other values would be bit out of balance. Just a small error that i can see in the screenshots (it may be changed already, i dont know) is that Deploy is spelled incorrectly. It is Deploy, not Diploy. How it is now, it has the exact same color, only I gave it a little bit of luminosity & bloom, around 10% from memory. I'll change it back, in the next updated version and see if people like that better. Oops, bit of a typo in the string values. Now fixed ready for the next release. thanks for pointing it out. There will no doubt be other little things. Compatibility with other mods is another thing that I'm trying to improve. On that note, If anybody has any Ideas for improving things, I am all ears. I also welcome and encourage people to help out making them also, if you want to. OK! thanks, I'll give it a shot. Absolutely! I have no intentions of using or changing any part of your mod. I only wish to make mine compatible, so people who, like me, love their Distant Stars have that option. If I have to make an additional compatible version of my mod, I'll do that. I certainly don't expect you guy's to change anything to suit my needs. And I apologize for any inconvenience with not testing. I am a do-fuss! I really just made this mod for Sins, and really didn't think about compatibility with other mods. Ok! I have it working also. Just by editing the entity manifest as you instructed. There is a few things without strings, so I guess the same thing is needed there. I can see now that it won't be possible to make a compatible version without using the entity manifest & string file details from your mod, so I'll just make a version for myself. Cheer's and best of luck with your mod. i kinda noticed some things about your. 1. the Tec sb constructer is missing its symbol. 2. THIS IS AN AWESOME MOD!!!!!!!! 3.Also that certain TEC buttons change to other things. For ex.holding the flak research button changes the button to something else. 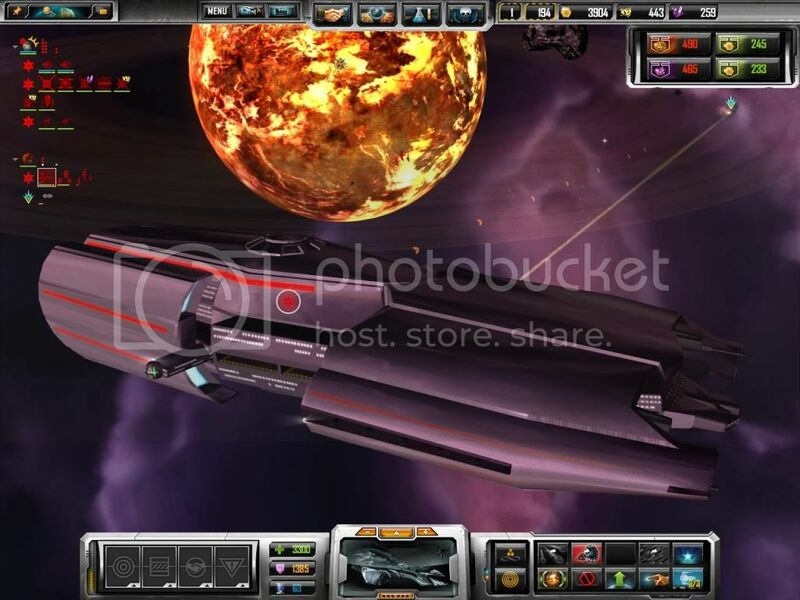 While holding the weapon upgrades for first level tec sb makes the button pic change to the TEC flak frigate. Just thought you might want to know and again awsome mod. Yep!, found them. Thanks for pointing those out. The constructor icon is fixed for the next update. Incidentally the Psi's was missing also, along with the anti module frigates and the Vasari mine layer's. I must have used the brush file out of Original instead of Entrenchment. As for the Tech carrier, (it is on mine), showing on the SB weapon button when its pressed, that's a bit puzzling. The brush locations are all good. It's like the frigate factory's cruisers button is bleeding through some how. One thing I have noticed with it though is that while the brush locations are different, their locations on their respective canvas's is exactly the same. Its like the Original Sins texture is overriding the Entrenchment one when the button is pressed. Thanks again and I'm glad you like it. This mod is looking really nice. I was able to do a quick run through and other than some minor issues, mainly already noted, it looks really good. I must have used the brush file out of Original instead of Entrenchment. Zero0, you really should be modifying the Diplomacy brush file considering this is a mod for Diplomacy. 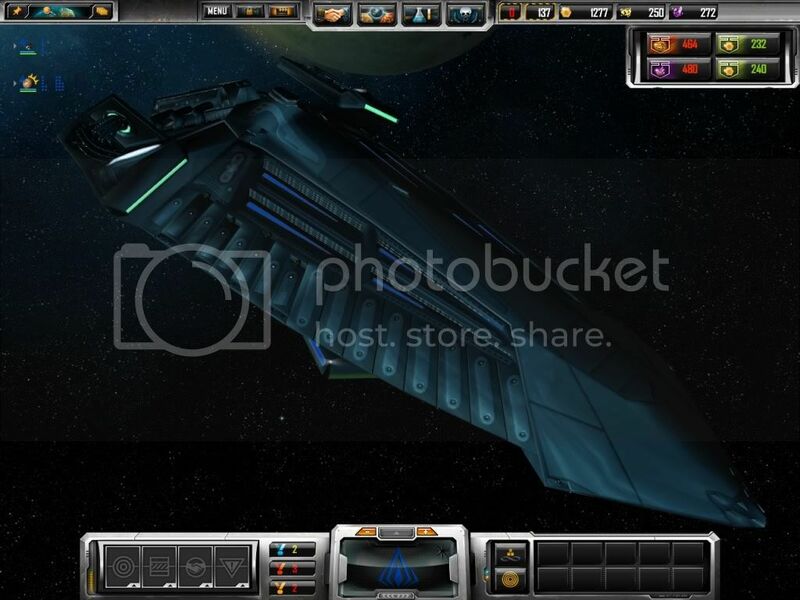 Good mod though, nice looking ships with cool abbilities. Keep up the good work. You know. After fifteen years, I'm surprised these races actually didn't make more upgraded ships to combat their enemies. Sure, Starbases and minefields and diplomatic vehicles came into play, but you'd expect the other ships to have some sort of upgrade. But, this mod takes care of that lingering little annoyance. Thank you!